LOCAL TRADE - JUST ARRIVED!!! ****BEAUTIFUL WHITE 2014 JEEP GRAND CHEROKEE ALTITUDE 4X4****CLEAN 1-OWNER CARFAX****ORIGINAL MSRP WAS $38,485!! ***This Jeep is in awesome condition inside and out! It is nicely loaded with great features including power sunroof, heated front seats, heated steering wheel, power liftgate, remote start, 20" black aluminum wheels, integrated voice command with Bluetooth, all power equipment, 8.4" uConnect touchscreen infotainment center with AM/FM/SAT/CD radio and steering wheel controls, cruise control, traction control, air conditioning and side roof rails. Brakes and tires are all well over 50%. Comes with a 4-month/4,000 mile powertrain warranty along with the option to extend coverage for added peace of mind. Financing is available and all trades are accepted. 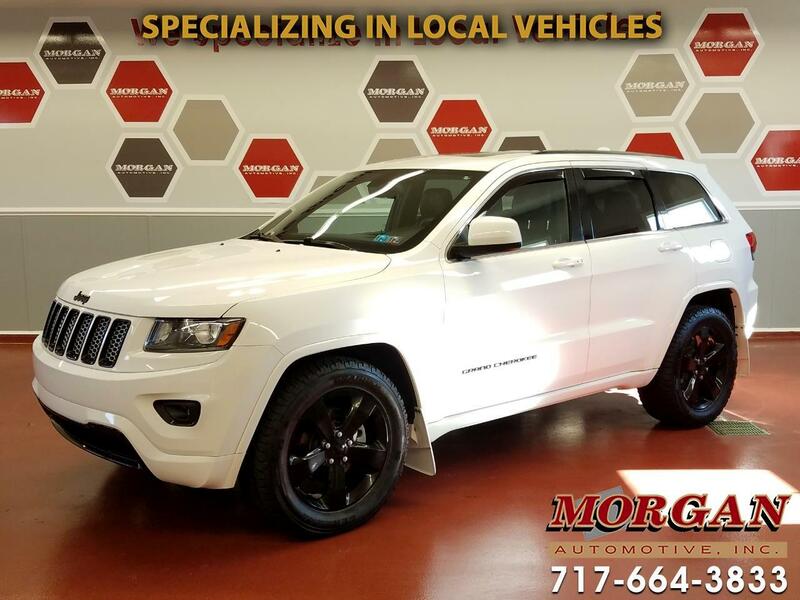 For more details on this awesome Jeep please contact our friendly commission free sales team at Morgan Automotive today.